The rules of power dressing have been turned upside down with the rise of 2016’s most-wanted two piece suit. It will set you back around £800, and ensure kudos from the cognoscenti – but the similarities with Italian tailoring end there. This year’s power suit is a tracksuit. A hooded cotton polyester sweatshirt and matching cuffed tracksuit bottoms by the white-hot Paris label Vetements will set you back a cool £790, but the set is already sold out in most sizes. The singer and actress Selena Gomez, who with 71.3 million followers is currently the most followed person on Instagram, and who recently enlisted the services of top Hollywood stylist Kate Young to overhaul her image, was photographed in this tracksuit at fashion week; Rihanna has been snapped wearing it at the airport. Even more exclusive is the Chloe tracksuit, which at £1,125 for a half-zip silk-jersey top was an instant hit from the spring/summer 2016 catwalk show. Then there is the Loewe’s soft suede zip-through tracksuit by JW Anderson (current holder of the British Fashion Designer of the Year awards for both menswear and womenswear) the top half of which retails for a cool £3,525. At New York fashion week last month, supermodel Gigi Hadid wore a black nylon Adidas tracksuit for a much-photographed date with her popstar boyfriend Zayn Malik; a week later, the first five male models in Burberry’s London show each wore a tracksuit top layered under a coat or jacket. The tracksuit has long been the uniform of society’s underdogs and outsiders. 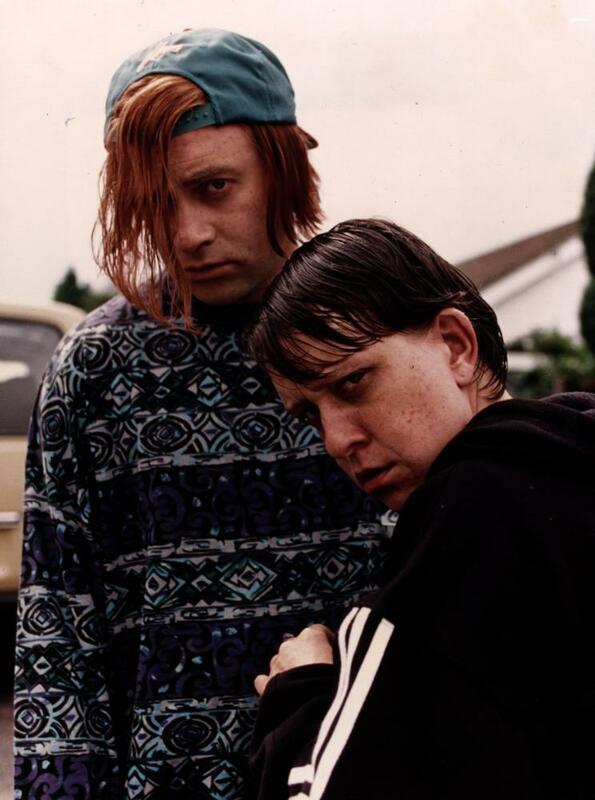 It is an instantly recognisable badge of disaffected youth, from Harry Enfield and Kathy Burke as sullen suburban pubescents Kevin and Perry, to Vincent Cassel and Said Taghmaoui in the 1995 French classic of urban youth, La Haine. Meanwhile, James Gandolfini as Tony Soprano, and Ray Liotta as Henry Hill in Goodfellas, made the tracksuit a screen cipher for backroom business operations. Now, the tracksuit has become the emblem of a new iconoclastic mood in fashion. 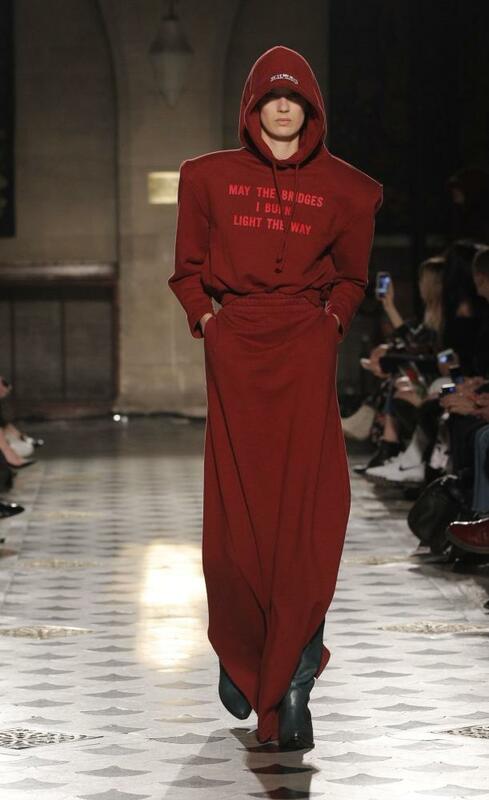 The Vetements label, where deliberately inelegant sartorial reference points range from Justin Bieber tour merchandise to DHL corporate uniforms, now beats Chanel for front-row cachet. “Right now, it’s cooler to like like you’ve dressed down, rather than up, which a tracksuit insinuates whether it cost £2,000 or not,” says Kay Barron, fashion features director of Porter magazine. Kate Phelan, global creative director at Topshop and a contributing editor at British Vogue, sees this as “a rebellion against the ‘peacocking’ that dominated how people in the fashion industry dressed, for a while. The everyday of fashion has become cultish as a reaction against that.” Hillier Bartley, the fashion label founded by British designers Katie Hillier and Luella Bartley last year, features a £1,645 tracksuit in the current collection, with an autumn version in the pipeline. The tracksuit revival builds on a cult for bad-taste dressing which began last year with Gucci’s sell-out fur-lined loafers and the championing of Wes Anderson’s quirky screen heroine Margot Tenenbaum as a style icon. 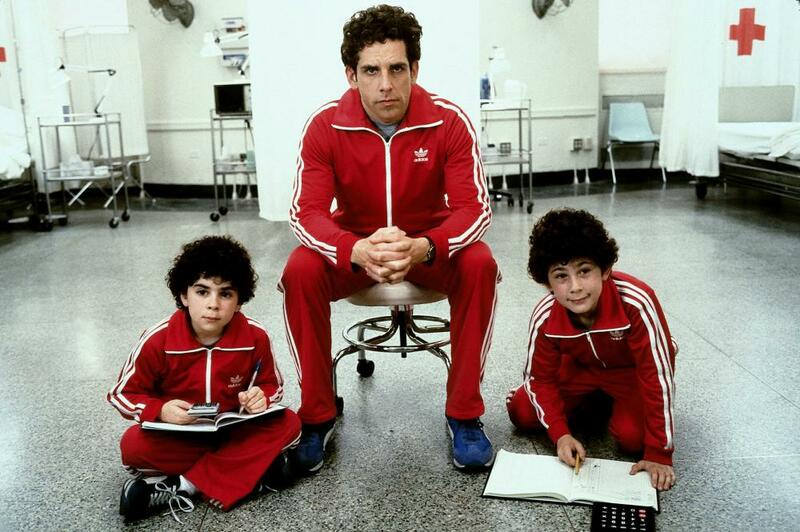 The red Adidas tracksuit worn by Ben Stiller as Chas has emerged as this year’s Tenenbaum reference. Using sportswear “to intentionally throw ‘off’ your outfit is a styling hack from streetwear, that has been adopted by the catwalk,” says Rebecca Lowthorpe, fashion director of Grazia. “And ‘off’ is a good thing aesthetically, these days,” she explains. The rise of androgynous dressing, sportswear and the nineties revival have all fed into the tracksuit buzz. Where the Juicy Couture tracksuit as worn by Britney Spears was soft and feminine, the new version is distinctly ungendered. Meanwhile, the most significant change in the retail industry has been the rise of athleisure – sportswear worn outside of the gym – a shift which has made sportswear increasingly acceptable in smart environments. And the spirit of the 1990s, when Helmut Lang turned the side-stripe trouser into the new tuxedo, has been the most-referenced era of recent catwalk seasons. 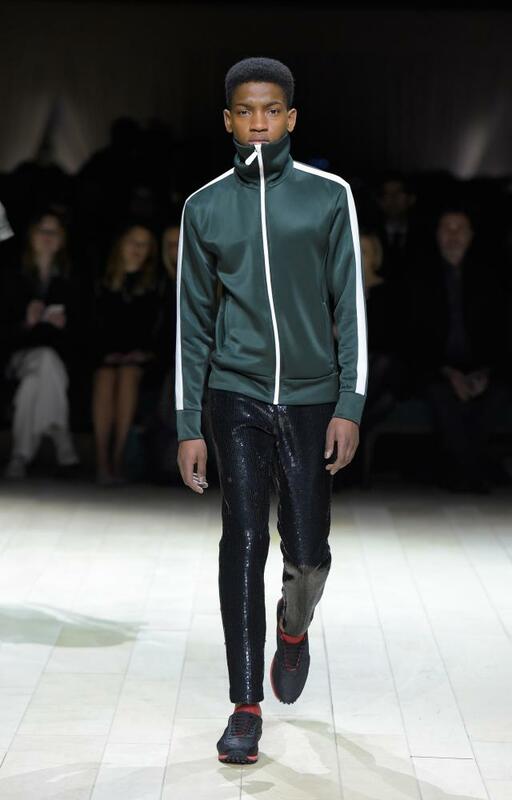 The Chloe show starring the tracksuit was soundtracked by Primal Scream’s 1990 hit, Loaded.